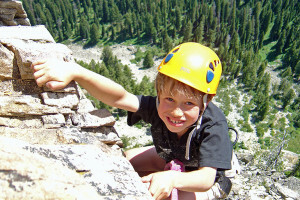 Dornans Wyoming is a privately owned few acres of land within the boundaries of Grand Teton National Park. Services found here range from two restaurants, an outstanding wine selection, alcohol and beer options, grocery and deli, gasoline, ATM, gifts and dining to guest lodging, and adventure sports equipment rental and sales. 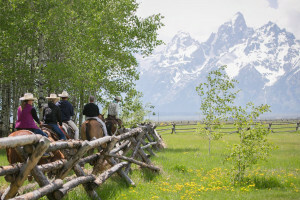 Enjoy unbeatable views of the Grand Tetons from the bar or restaurant deck. Dornan’s Moose Wyoming is a privately owned patch of land within the boundaries of Grand Teton National Park. It has been in the same family, since it was originally homesteaded and is now owned by the fifth generation of Dornans. The Dornan family has been serving people in this part of Wyoming for over sixty years. Services found at Dornans in Grand Teton National Park range from a bar with spectacular Teton views, two restaurants, an outstanding wine selection, alcohol and beer options, grocery and deli, gasoline, ATM, gifts and dining to guest lodging, and adventure sports equipment rental and sales during the summer. From Jackson, Wyoming head north on US-189/US-191/US-26/US-89. Go a distance of approximately 12 miles where you will see a road headed to the west and Moose Junction. Turn on that roadway and take the first right turn to get to Dornans. Dornans is open year-round. However, some of the activities and retail facilities do close in the winter months. There is no charge to enter Dornans settlement. Individual amenities have individual fees, i.e. lodging, dining, shopping, and various activities. The deck of Dornan’s Pizza and Pasta House (one of the two restaurants on site) offers an unsurpassed view of the Teton Mountain Range. You can sit a while, have a good drink and/or a meal and gaze across the Snake River at the majestic mountains. Dornans is definitely a worthwhile stop on your way in to or out of Grand Teton National Park.